Professor emeritus in the Department of Educational Studies, University of British Columbia. John Calam is the author of "Parsons and Pedagogues: The S.P.G.Adventure in American Education (New York and London: Columbia University Press, 1971), and editor of "Alex Lord's British Columbia: Recollections of a Rural School Inspector, 1915-36 (Vancouver: UBC Press, 1991). Calam, John. 2006. “Neville Scarfe and Teacher Education”. 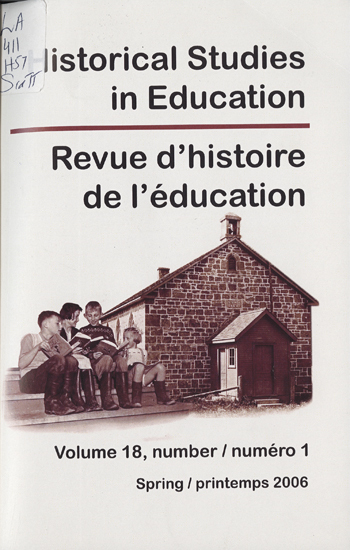 Historical Studies in Education / Revue D’histoire De L’éducation 18 (1), 75-83. https://historicalstudiesineducation.ca/index.php/edu_hse-rhe/article/view/403.